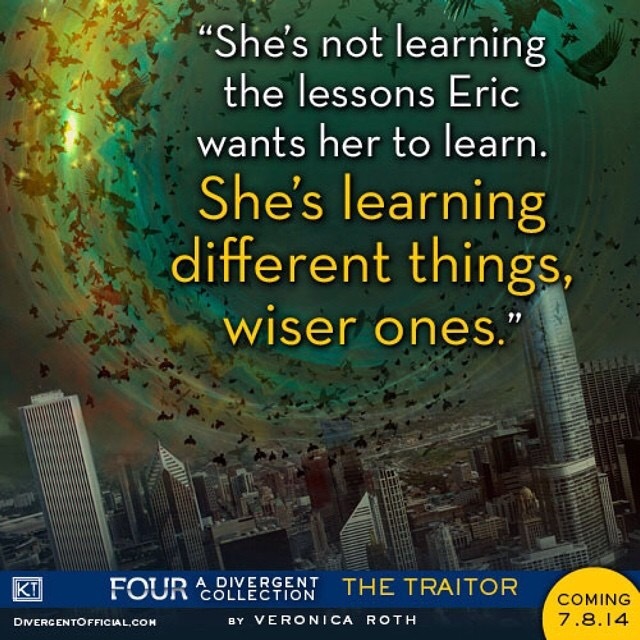 Happy July FOURth Initiates. The Divergent series twitter has just revealed a brand new quote from Four: A Divergent Collection. 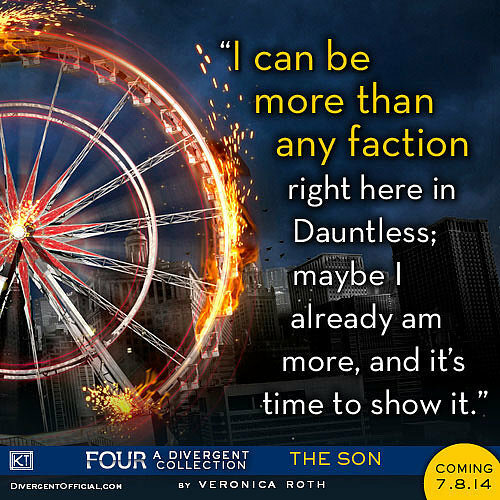 Categories: Four: A Divergent Collection | Tags: four: a divergent collection | Permalink. She’s also been nominated for a ‘Teen of Queen’ an award made specially for YA and teen fiction authors! Voting ends on Monday so hurry up. You can vote here. Lastly, to close this post about our Illinois girl, guess who made it to the Forbes Celebrity 100 list? Veronica did as the #95. If you wanna see who made it and who didn’t click here. We wish you all a happy 4th of July! Remember to follow us on Twitter for more updates. Sources: ‘The Hollywood Reporter’ and ‘Forbes’. Categories: Allegiant, Four: A Divergent Collection, veronica roth | Permalink. 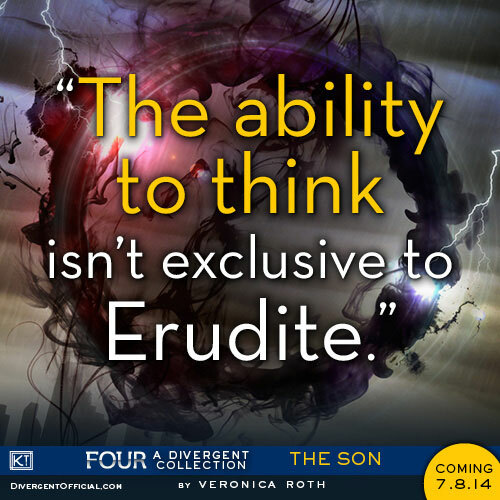 Veronica Rith will be going on a Four city tour to promote Four: A Divergent Collection. 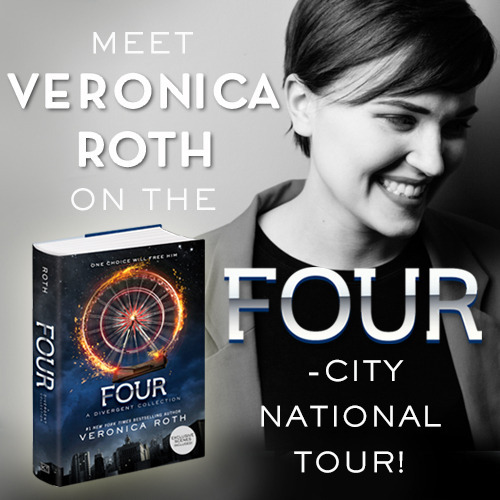 Veronica Roth will kick off her FOUR-City National Tour with a solo event in Boston, MA and will later be joined by fellow authors Marie Lu (Legend series), Margaret Stohl (Beautiful Creatures & Icons series), and Phoebe North (Starglass) in Atlanta, GA, Denver, CO and Lansing, MI. 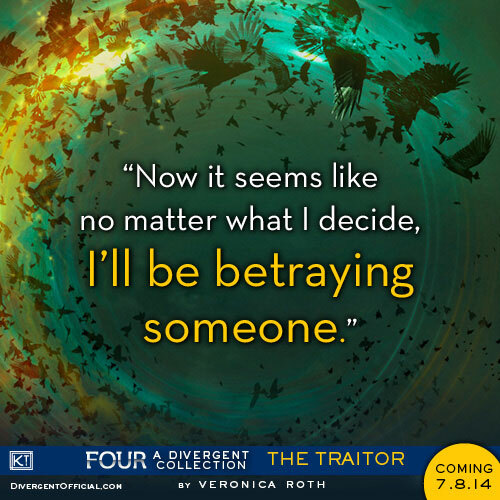 “I am a big fan of all of these authors,” says Roth, “And I’m so excited for my fans to hear from them and discover amazing new books.” Veronica Roth was a voracious reader as a teen and is committed to inspiring young people to read. 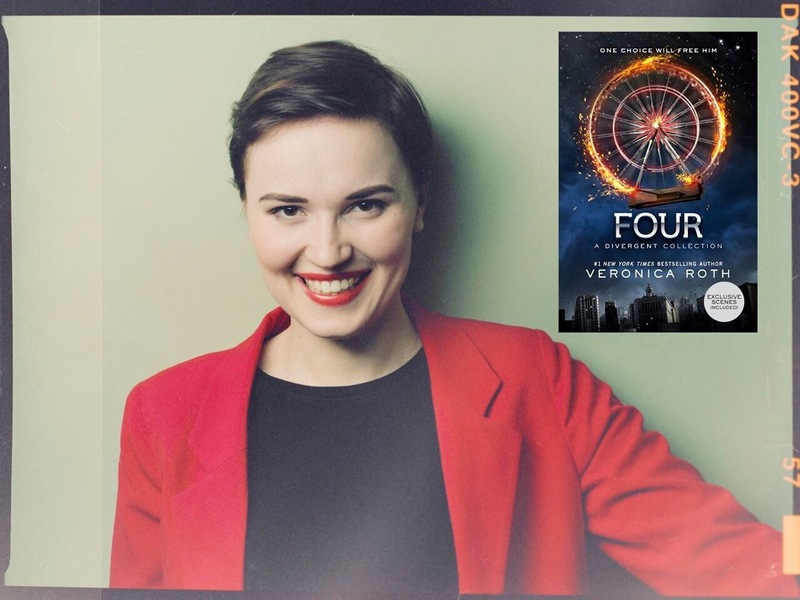 For every ticket sold for admission to Veronica Roth’s FOUR-City National Tour, a brand-new, high-quality book will be donated to a child in need through First Book. 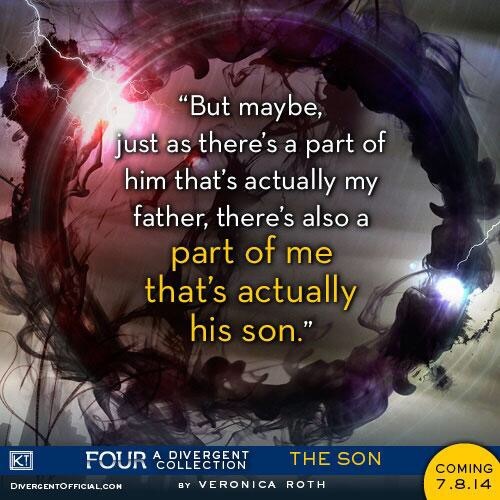 In addition to the FOUR-City National Tour, Veronica Roth will be attending San Diego Comic Con International. Will you be going to see Veronica on tour? 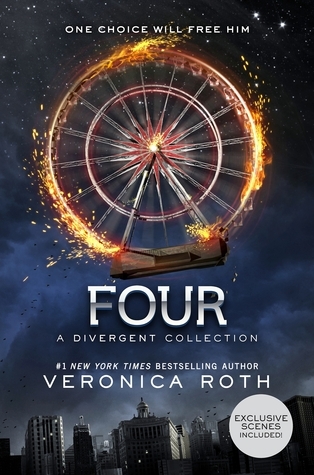 Categories: Four: A Divergent Collection, veronica roth | Tags: Four:A Divegent Collection, Veronica Roth | Permalink. 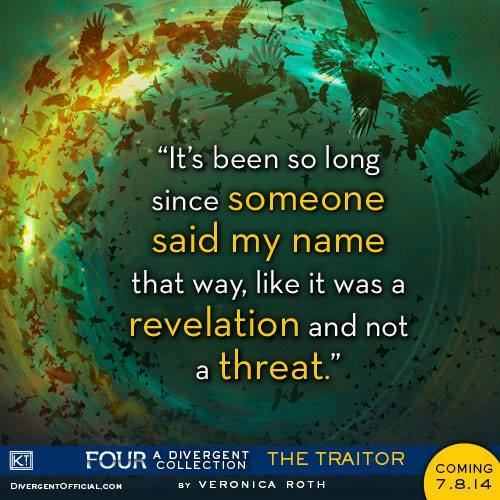 Veronica Roth has shared more information on Four: A Divergent Collection on her Tumblr. 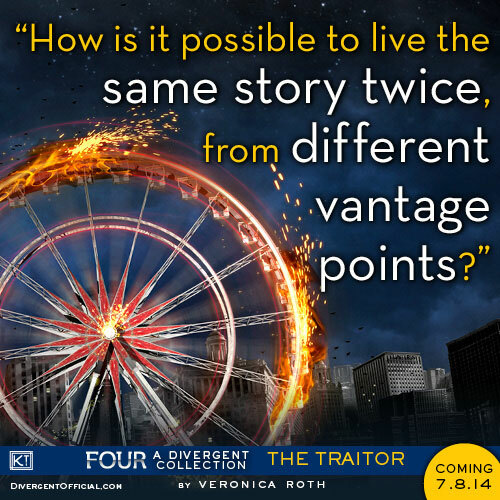 Four: A Divergent Collection Info! Now that Four: A Divergent Collection is FINISHED FINISHED FINISHED, I am here to give you the rundown of what’s actually included in the pbook, because it’s just a little over 60 days until it comes out! “First jumper—Tris!” – The first time he ever lays eyes on her. “You look good, Tris.” – And the first time he lets his guard down. So. There you have it—everything that will be in the short story collection, released in hardcover on July 8th, 2014, in the US! I’m excited for you guys to read! *The stories will also be available as separate short e-books in July. **I’m not sure when/if the book will be released in which countries. I’ll put that information on my “foreign editions” page as it becomes available. 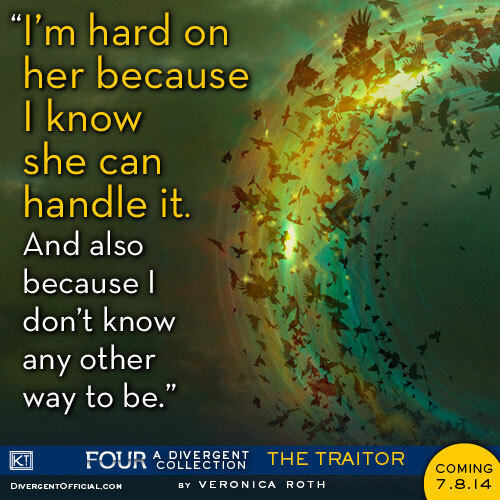 You can pick up Four: A Divergent Collection on July 8th. Pre-order it here. 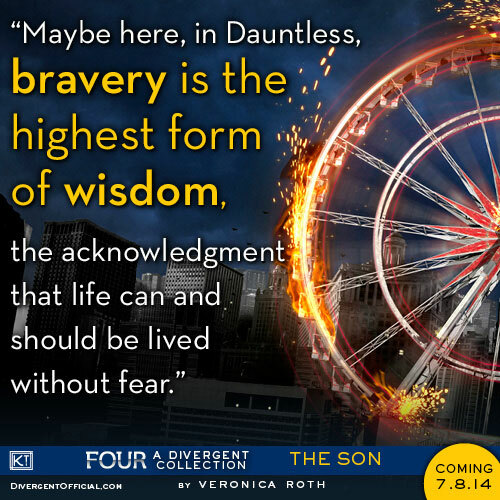 Categories: Four: A Divergent Collection, veronica roth | Tags: four:a divergent collection, Veronica Roth | Permalink. You know what today is? 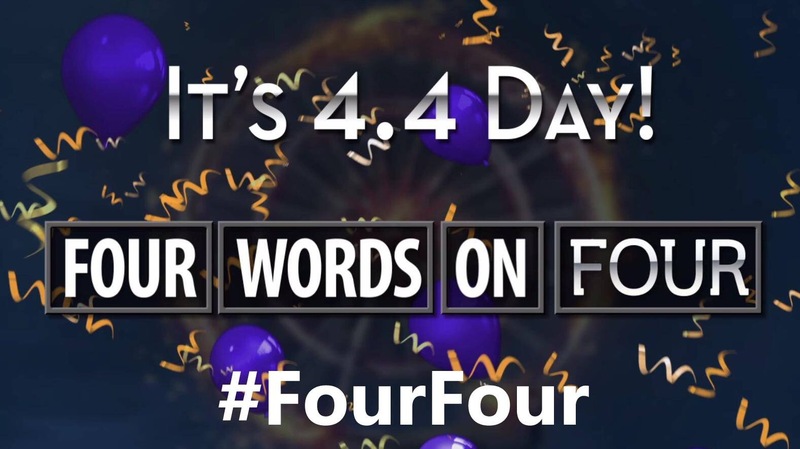 It’s FourFour day! In honor of our boy Four lots of awesome things are happening. Click here for your chance to win a bunch of great prizes. Share your 4 words on Four for a chance to win one of our awesome prizes! All giveaways are open to US and Canada residents. 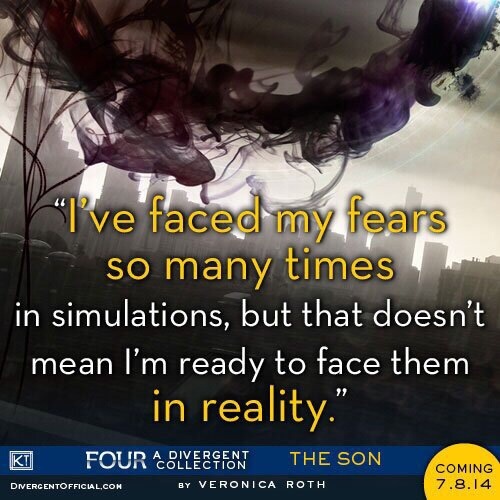 A large divergentmovie Four poster – 1 winner will be selected at 4PM (ET). The complete set of limited-edition Divergent makeup and nail art kit from sephora – 1 winner will be selected at 8:44PM (ET). A divergentmovie IMAX poster – 4 winners will be selected at 8:44PM (ET). A t-shirt with Four’s tattoos on the back – 4 winners will be selected at 8:44PM (ET). Categories: Divergent, Four: A Divergent Collection, Theo James, veronica roth | Tags: Divergent, four: a divergent collection, theo james, Veronica Roth | Permalink.